One of the most rewarding aspects of attending a small liberal arts institution is the breadth of academic opportunities available to students outside of the classroom. Three students in the Classics department at Trinity College were recently awarded research grants by the Dean of Faculty for students who are interested in doing their own independent research or working as an assistant with a professor. The students taking advantage of this opportunity are Matthew Reichelt ’17, who will be working as an assistant to Professor Gary Reger, Dylan Ingram ’18 to Professor Risser, and Maura Griffith ’17 will be conducting her own independent research. The range of student research is outstanding, each participating in a unique area of study. 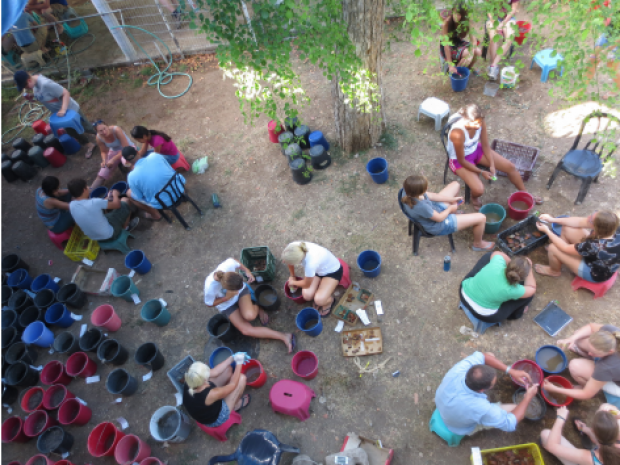 Griffith will travel to Romania to participate on two archaeological digs with ArchaeoTek. “For three weeks, I’ll be excavating graves at a 15th century Christian church. The following four weeks, I’ll be working in a juvenile osteology research laboratory. This lab conducts the analysis on the specimens excavated during the previous weeks. Each participant in the osteology lab will be presenting at the Fourth International Osteology and Bioarchaeology Student Colloquium in Odorheiu Secuiesc,” Griffith said. Griffith also plans to write a year long senior thesis starting in the fall, most likely consisting of a Latin translation, or a project related to her summer research. Reichelt’s research will explore the use judicial torture in the Roman empire during the reign of Septimius Severus.